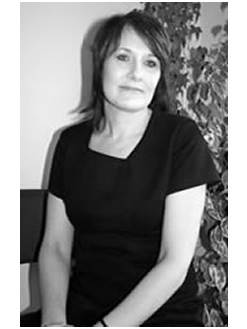 Massage Therapist Jayne Stokes has been the massage therapist at Mickleover ChiroHealth Clinic for the past 5 years. Jane has training in both Swedish and Sports Massage techniques and combines treatments with essential oils. She offers a complete treatment which is tailored each individual clients particular needs. She is also qualified in Reflexology and Aromatherapy Massage which offer a less intrusive and gentler approach to obtaining an overall sense of well being. Her clients include sports people – runners, golfers, cyclists, horse riders – who benefit from massage to help niggling aches and pains and improve performance; office workers with problems of repetitive strain and stresses; busy mum’s trying to keep all the ball’s up in the air and needing a little extra physical help; the elderly with stiff joints and aching limbs. Regular massage can significantly help reduce both physiological and psychological stress. When used in combination with chiropractic treatment it can help relax and loosen muscles thereby increasing the effectiveness of treatments. This can aid recovery time. Your chiropractor will be happy to discuss potential benefits to you of combining chiropractic and massage treatments. If you would like to find out more about the potential benefits of massage and how it may help you please contact Jane at the clinic and she would be happy to discuss this with you. 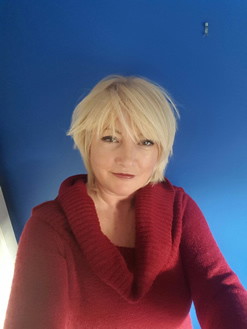 Holistic and beauty therapist, Judith Hyde joined the clinic in September 2011 offering clients a wide range of professional and natural treatments. The term Holistic comes from the Greek word Holos meaning whole, and recognises the importance of treating the body, on both a physical and emotional level in order to maintain balance or homeostasis within the body. Judith has been a therapist for over twelve years, during which time she has been a college lecturer, which has enabled her to continually update her skills and provide a wide variety of techniques, which are blended together to create prescriptive treatments for each client. ITEC trained in Aromatherapy, Reflexology, Swedish, Indian Head, lymphatic drainage and Stress massages, along with hot stone massage, Hopi ear candles and detoxification, Judith offers combined therapies to provide the best possible treatment to combat a variety of conditions and aid relaxation. In addition clients may benefit from natural beauty therapy treatments including Eve Taylor facials, manicures, pedicures, waxing and eye treatments. Eve Taylor products and essential oils are used for both the massage techniques and facials. For skin care there are ranges to suit all skin types using the latest technology combined with the quality and purity that Eve Taylor has been renowned for, for over 30 years.